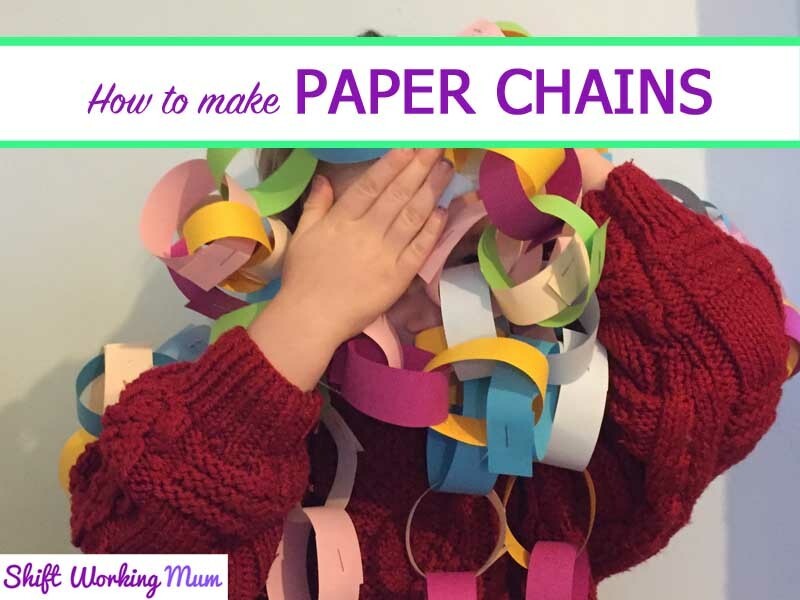 It isn’t Christmas in our house without paper chains. 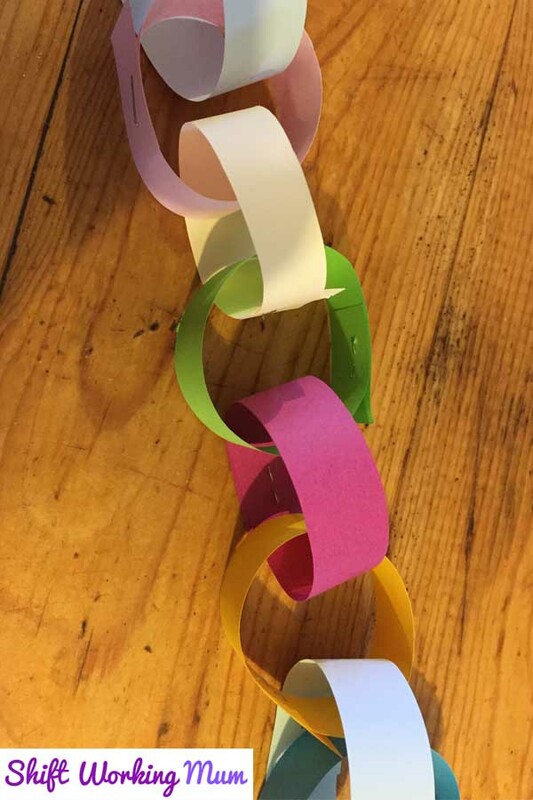 Today I made a paper chain with my 4 year old son, Sprout. 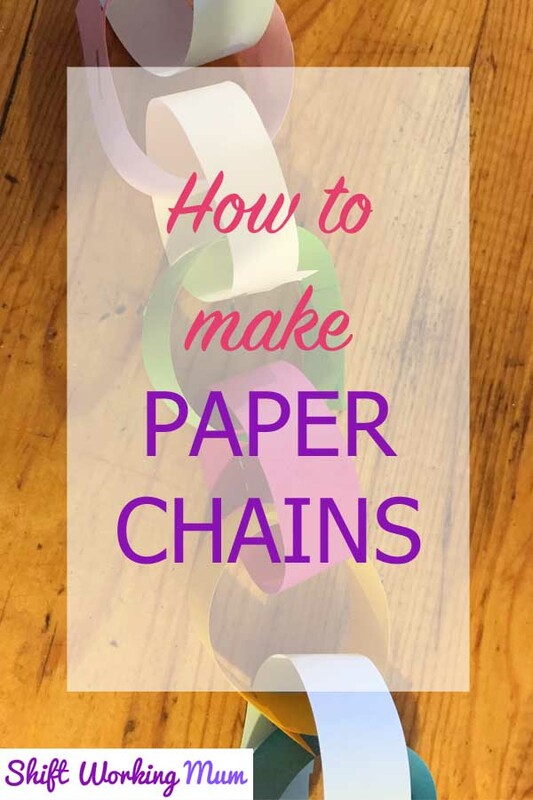 Very simple to make with a few supplies. 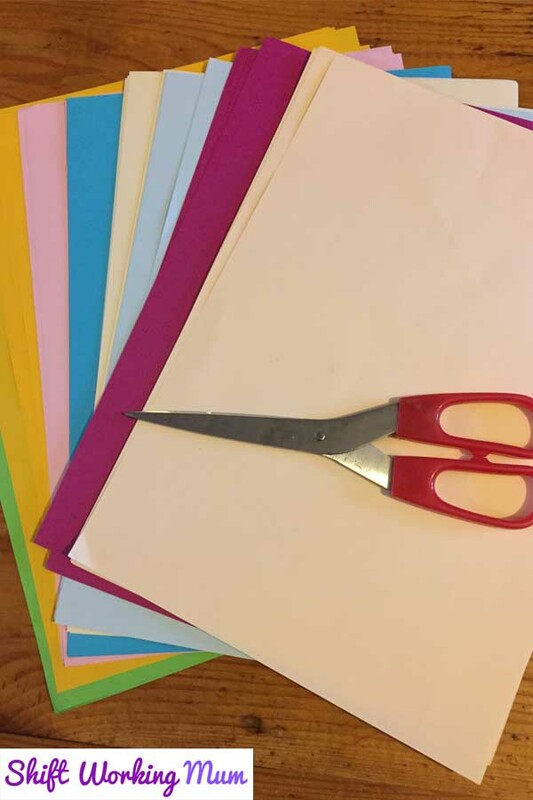 You don’t need to use coloured paper if you don’t have any. You could use white paper and get the children to draw on it. 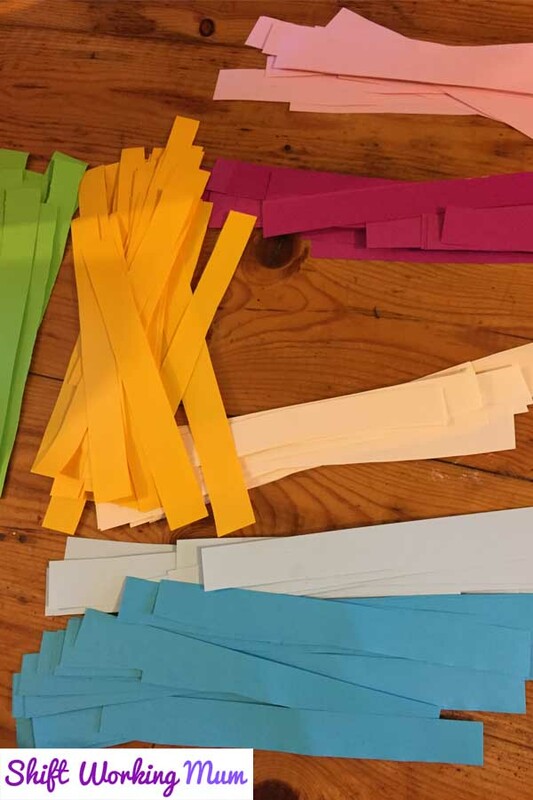 Cut the paper up into strips about 2cm wide. 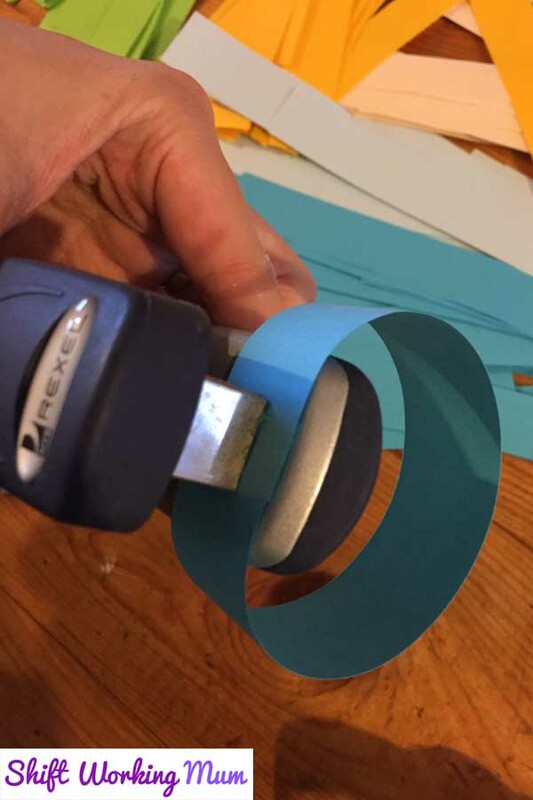 Using a stapler or sticky tape, make a loop out of one paper strip. Put the next strip through the hole and make a second loop. Continue until you have a complete chain. 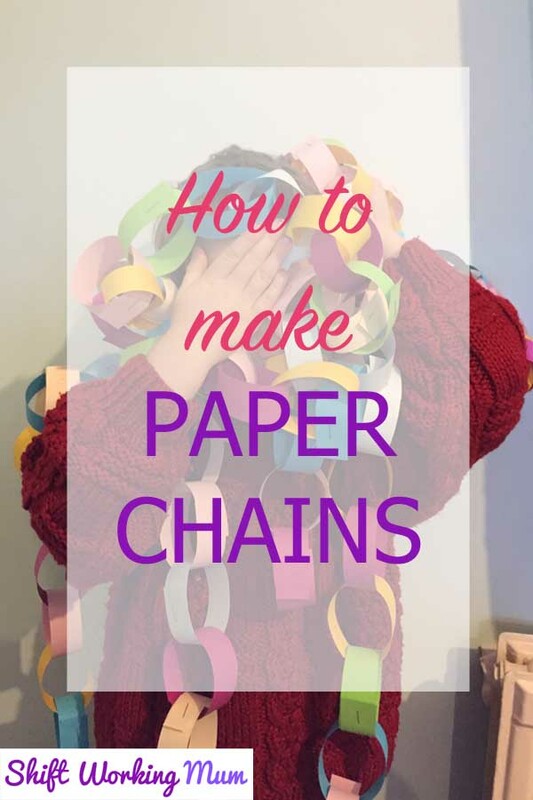 Either when you run out of paper strips, or staples/tape. Or as I did when you run out of enthusiasm.